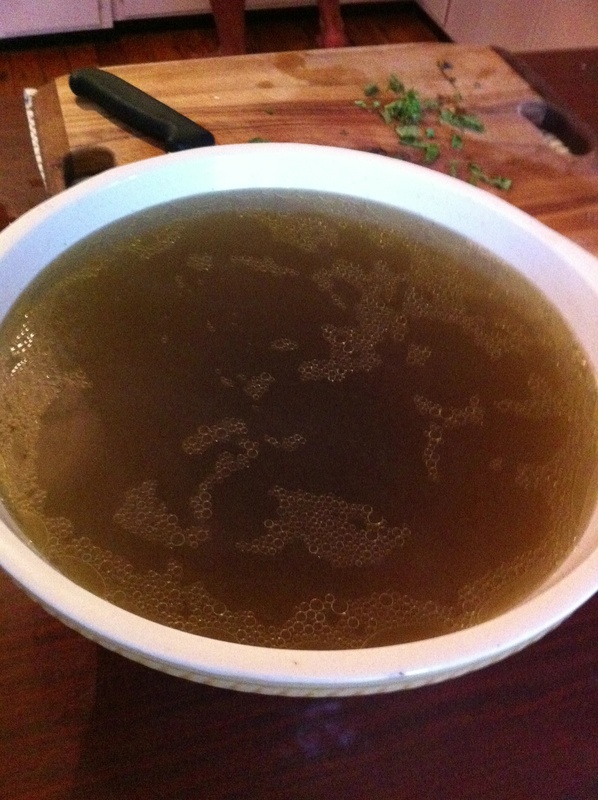 RECIPE: BONE BROTH - Live It. Do It. Have I told you my husband was a chef in his past life? Have I told you he is a diver? Have I told you that he is a passionate gardener? Have I told you how passionate he is about self sustainability? Well he’s pretty amazing and he has been looking after us very well for the past month with baby. He loves cooking for us and stock is one of his specialities. Bone broth is a food that everyone should incorporate into their diet, it is super nourishing as it holds so many nutrients that you cant get easily from other foods. Its is great for digestion, it helps to rebuild and heal the gut, its builds immunity and it reduces stress just to name a few benefits. Its also amazing to add to soups and risottos as well as make gravy. Throw out those fake stock cubes full of additives and preservatives and make your own, freeze it down in portions for when you needs it or just drink it like tea, Its so easy! Everyone has been asking lately how we make our bone broth so here is the run down on how to make a good bone broth from the best. 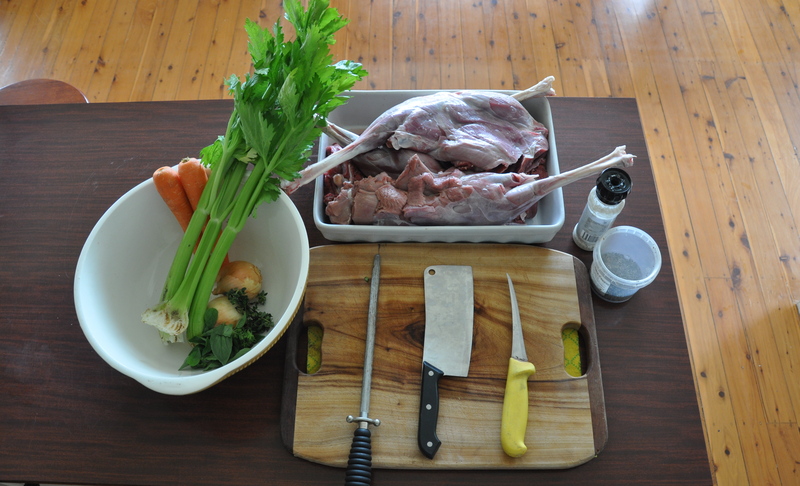 Andrew talks deer here but you can make it with beef or lamb bones too! ENJOY! 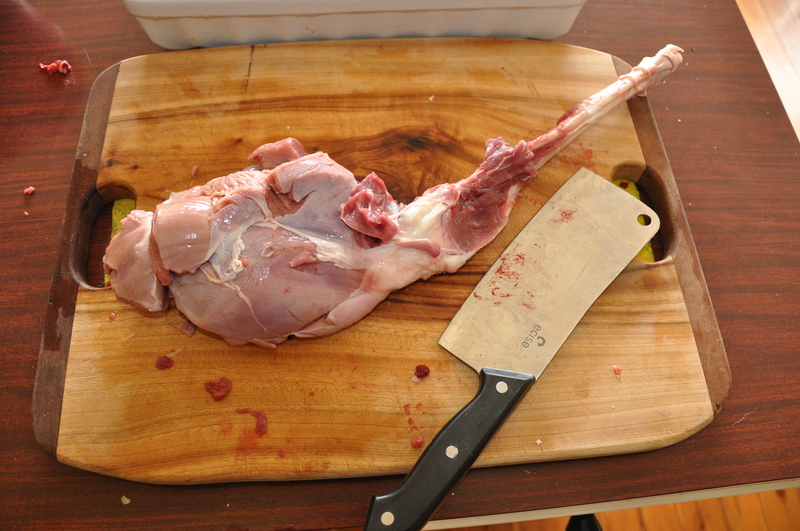 A freshly butchered Fallow Deer was recently delivered to my house from a close friend who had been hunting in the Barrington Tops region of New South Wales. The Venison was kept on ice and I was privileged enough to get four legs from the beast. 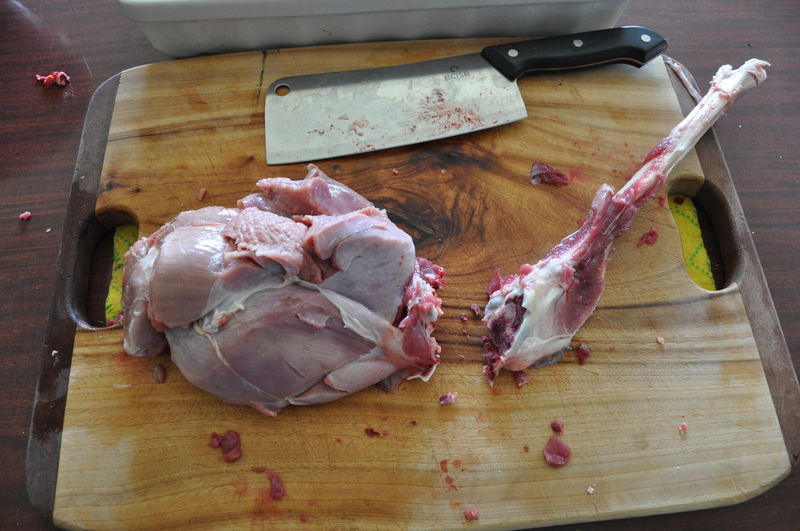 My initial plan was to create Venison Pies, however my first task was to use the bones for a rich venison stock. begin by separating the meat from the bones. For this I recommend various sharp knives, ranging from a boning knife to a clever and also a standard cooks knife. Into a large stock pot, sweat your vegies with some Olive oil, then add all remaining ingredients, bring to boil and return to a low heat and allow 4 hrs for the stock to reduce and infuse. as time passes a layer of scum will form on the surface. remove this with a spoon, but don’t worry too much if you can not get all of it. At around the 4 hour mark the stock will have reduced in volume and presented with a light brown colour, give it a taste and if you believe it to be at the required consistency and flavour remove from heat and be ready for separation. 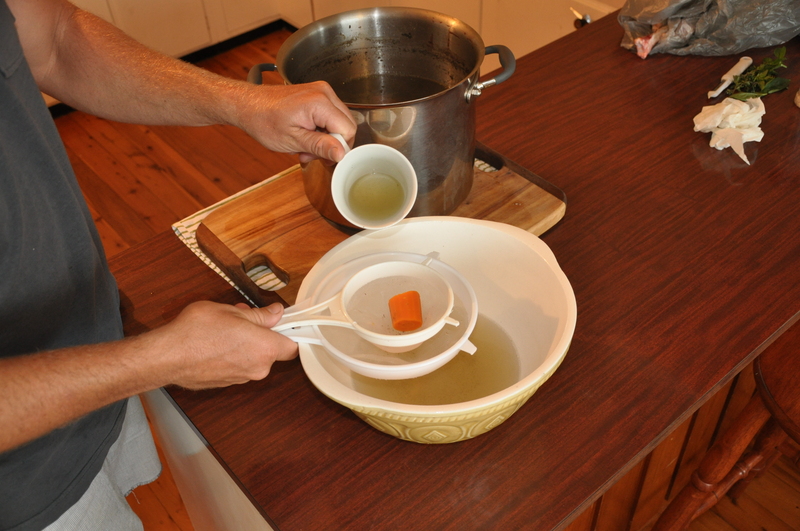 To extract the stock from the bones and remaining vegetables it is traditional to use a muslin cloth inside a sieve, however for this, i have just used 2 sieves inside one another and a cup to pour in. Upon completion you should be left with a rich flavoured stock that has a brown tinge with a fine layer of fat on the surface. 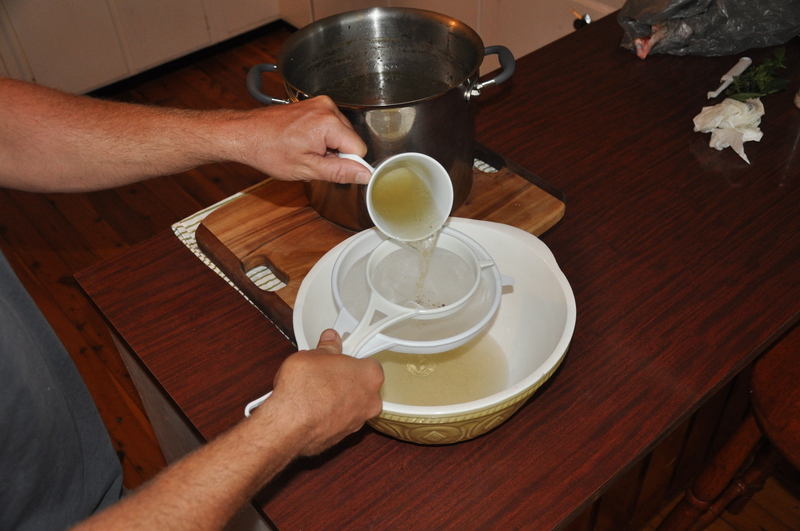 The stock can be kept in the fridge for around 5 days or frozen down and kept for around 3 months. 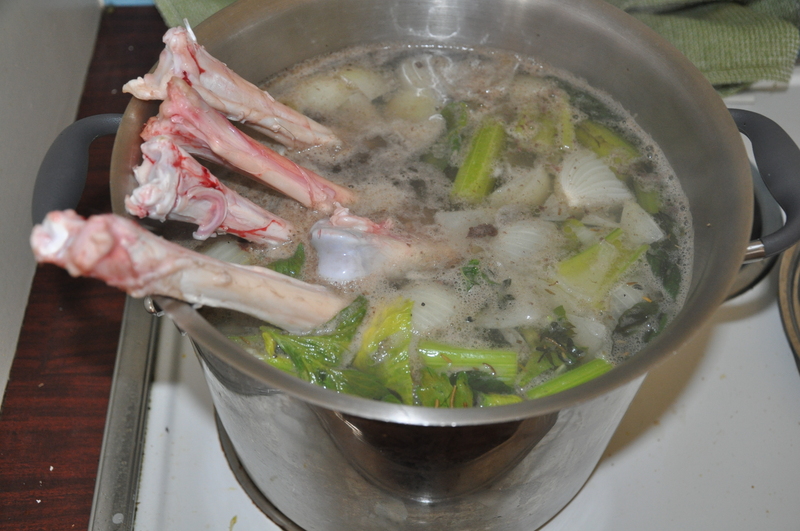 This process can be used for any type of meat bones that you may have left over, for example a chicken carcass or some fish bones from a recent fishing trip. I believe it is better to use what we have available to us now while it is still fresh, as opposed to using store bought powders or liquids that have added preservatives to last longer. Believe me that by doing it this way, your food will have a much richer flavour. 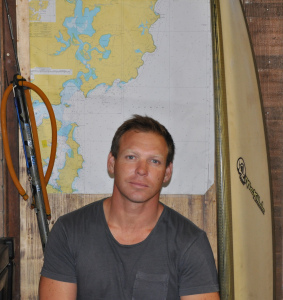 About Andrew: Andrew Michelin is a man who believes in making the most from the natural environment. His thoughts and ideology have deep roots from his childhood, growing up on the far south coast of New South Wales between the picturesque town of Merimbula and the rugged and beautiful town of Eden. During this time he spent a great deal of his time around the water getting involved with Fishing, Surfing, Hunting, Diving and all the time developing a heightened level of situational awareness of seasons and his natural surroundings. Andrew is a qualified Chef having worked in the industry for over 10 years. His real passion lies with his professional and commercial Diving career, where he now Instructs and Supervisors at the highest level. Andrew loves teaching and sharing with others what the world has taught him along his journey. Through simple and easy steps Andrew will give you the tips and tricks to eating good, healthy delicious food that you have hunted, caught, grown and prepared yourself. Andrew now lives on the Northern Beaches of Sydney and has brought his skills to this area and has found that the fruits of nature are just as plentiful in his new home as they are in almost all parts of Australia, all you need to do, is know where to go, when to go, and what to look for. Andrew is looking forward to sharing his experiences with you.